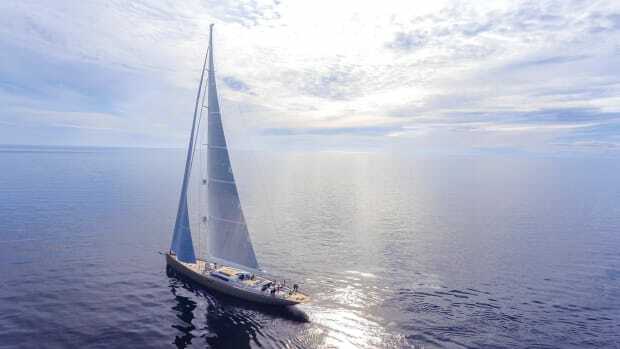 The Baltic 130 S/Y MY SONG joins an elite breed of high-tech cruiser-racers. 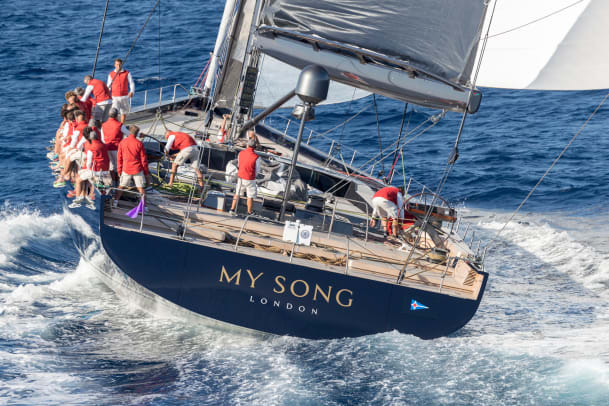 Just as “My Song” is for those who think they don’t like jazz, the Baltic 130 named after Keith Jarrett’s well loved composition is a yacht for those who think they don’t like sailing boats. 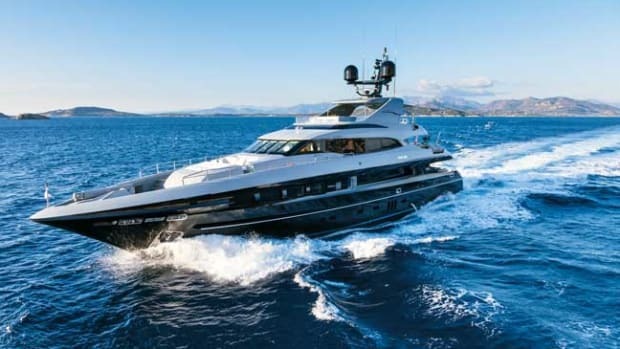 My Song is the fourth yacht of the same name with overall styling by Nauta Yachts in Italy, built for Pier Luigi Loro Piana, deputy chairman of the eponymous luxury textile brand. 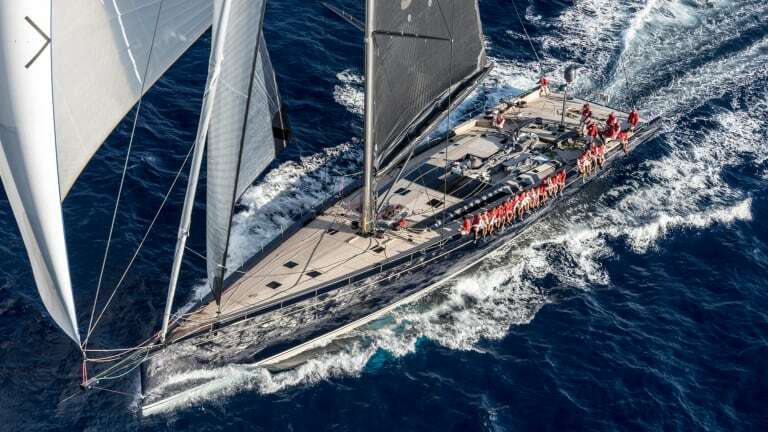 The owner spends long periods cruising the Mediterranean and Caribbean with family and friends, but he also wanted winning performance on the regatta circuit. 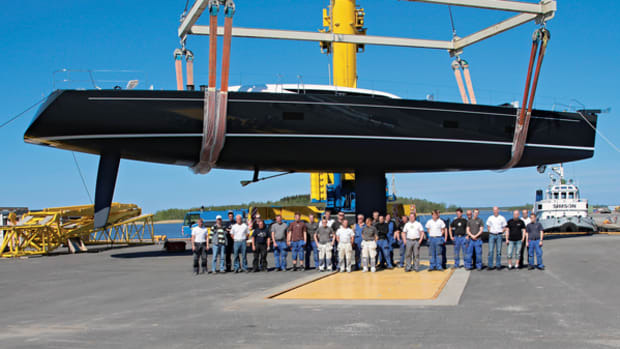 Baltic Yachts is a Finnish yard with the maxim “lighter, stiffer, faster,” and it built the hull from carbon and Corecell composites with Nomex cored bulkheads, giving My Song a light displacement of just 231,485 pounds. 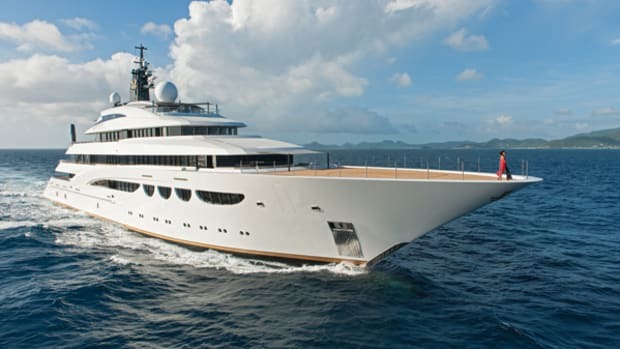 “Because of their holistic, in-house approach to design, engineering and construction with teams for all disciplines constantly communicating with each other, Baltic are one of very few yards capable of building such a complex yacht on time and to weight,” says Nigel Ingram, the owner’s project manager at MCM Marine. The expansive guest cockpit offers shaded, open-air relaxation with the bimini raised in cruiser mode. 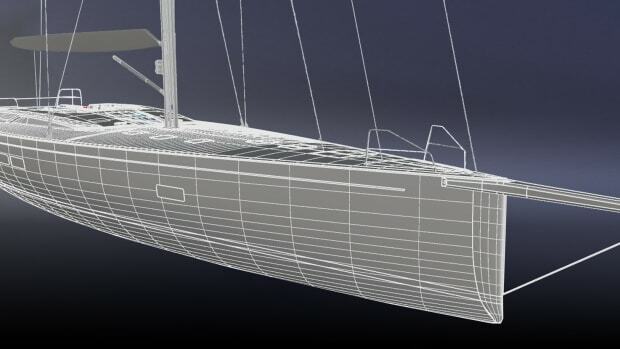 San Diego-based naval architects Reichel/Pugh developed the hull lines for fast, stable and comfortable performance whether racing or cruising. They spent 18 months running computer fluid dynamics models to optimize the waterline maximum beam, reduced wetted surface, full waterline length and more. Further performance attributes come from the chord dimension and top-to-bottom taper of the lifting keel fin. 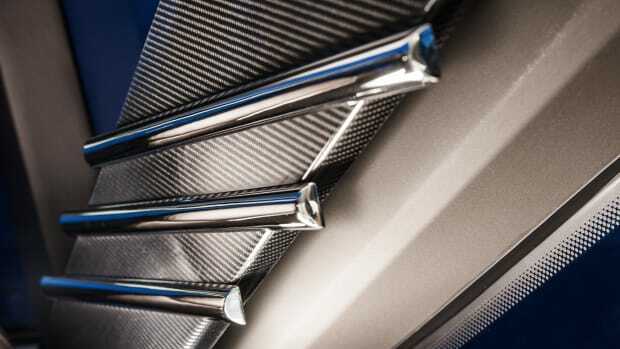 Its characteristics reduce the wetted surface area to increase performance. Engineering challenges included determining how to guide the tapered fin and bulb as they move from raised to lowered position (from 15 feet, 9 inches to nearly 23 feet) while ensuring the same grounding strength as a conventional fin. Another innovation is the retractable propulsion system, which has an azimuthing, forward-facing, pulling propeller. Such systems are not new, but Baltic developed its own in collaboration with Hundested Propeller in Denmark. The unit combines the ability to retract the propeller when sailing with rotation through 180 degrees, so the prop doubles as a stern thruster. During my sea trial aboard My Song, the wind, smothered by low clouds, was closer to 14 than 40 knots. “Walking” the boat off the dock using the retractable propulsion system was child’s play. Sadly, our spin around the Gulf of La Spezia in light airs revealed little of the yacht’s performance potential, but she is expected to be one of the fastest yachts of her type in the world, with an average cruising speed of 16.5 knots and planing speeds close to 30 knots when her Southern Spars rig is in full racing mode. 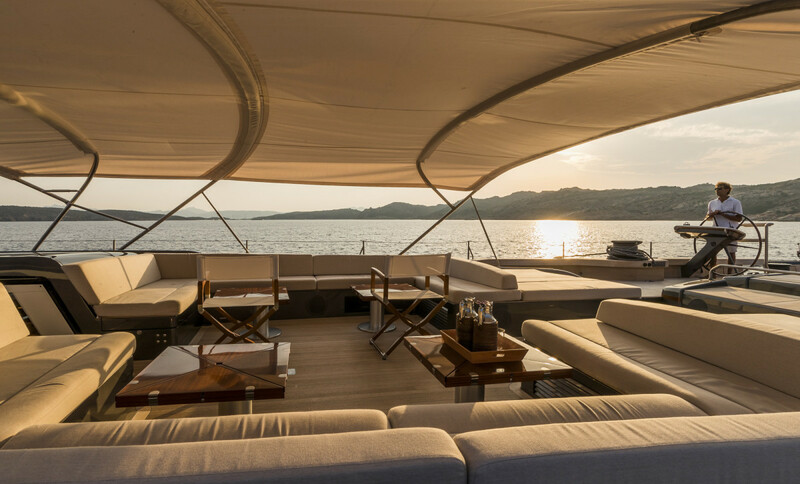 The interior design is soberly nautical in style, but all is not what it seems: Soles and ceilings are made of resin-impregnated linen fibers on a carbon-fiber base. Nauta’s exterior styling oozes power and grace. A raised bulwark hides some of the coachroof and provides privacy in the guest cockpit at anchor. (In addition to concealing hydraulics and line runs, that bulwark also allows for single-wire, half-height lifelines.) 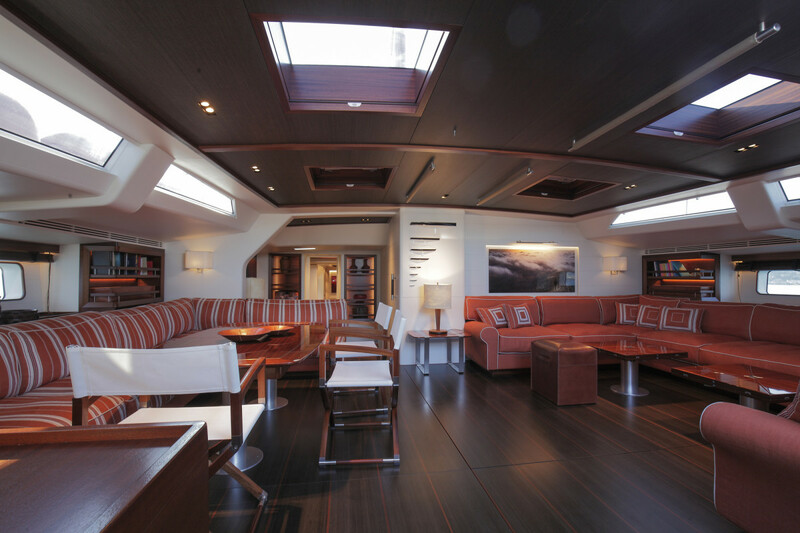 Long freeing ports let water drain off the deck and admit natural light into the salon—a seemingly simple design cue that required extra engineering and lamination to maintain hull integrity. 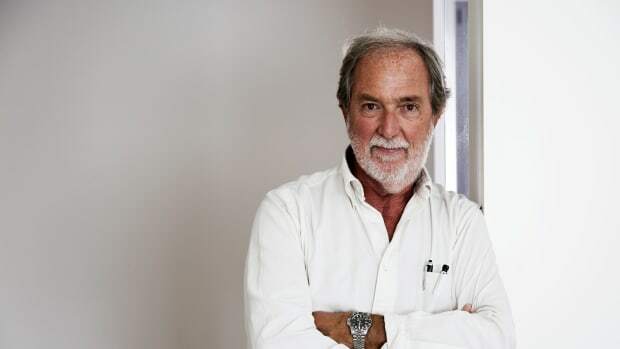 Loro Piana requested 1:1 scale mockups during the design process, and he chose a décor based on white and mahogany tones with stainless steel accents and images of sailing yachts by renowned photographer Carlo Borlenghi. Design details include surfaces, ceilings and soles manufactured from carbon fiber combined with—wait for it—resin-impregnated natural linen fibers. Linen is, of course, the material derived from the flax plant for which the Loro Piana brand is famous. According to the My Song team, this is the first time linen has been combined with high-tech composites as a structural material. (They also studied using linen fibers in the hull construction, but abandoned the concept.) Other handwoven textiles come from lotus fibers—once used to make the robes of high-ranking Buddhist monks—creating a tactile feel like a cross between silk and linen. Tones of white and mahogany accentuate the master stateroom. 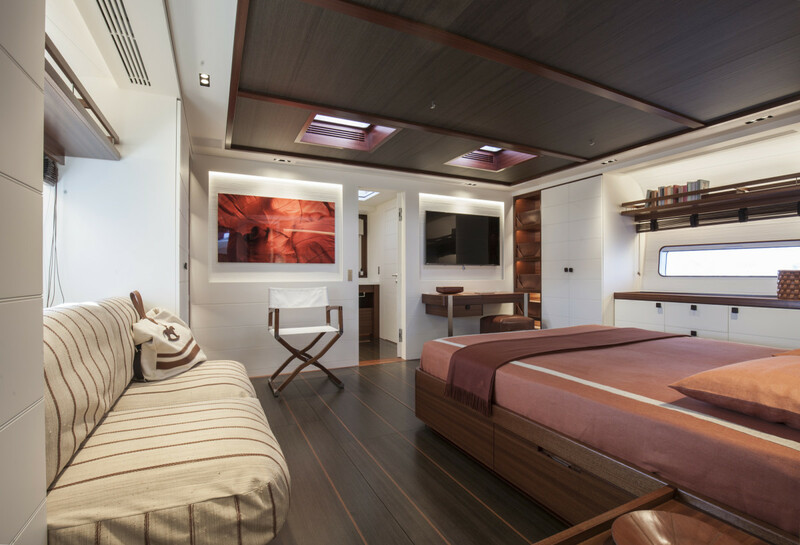 Crew quarters are aft with the master suite forward, separated by the full-beam salon for privacy. 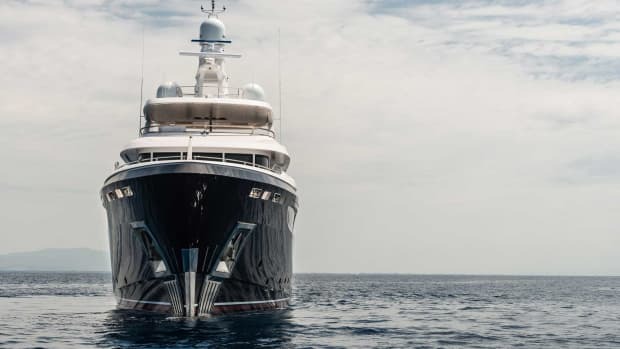 In addition to two guest staterooms aft, each with twin berths, a study adjoining the master converts to allow a total of six guests plus the owners. This is especially true of My Song. Like her musical counterpart, she is destined to become a modern classic. The Baltic 130’s lines were developed for fast, stable and comfortable performance whether cruising or racing.